Michal Fosdick is the Owner/President of SERVPRO of Southern Cuyahoga County. Even though the circumstances around a water or fire loss are tough and the pace is often hectic, she is absolutely on fire for what she does daily (pun intended). This is the case, even with the high of number of flaming chain saws she always needs to juggle. These include soothing worried customers, organizing home furnishings in our storage facilities, putting finishing touches on a proposal, coordinating financing for the purchase of needed equipment, talking to prospective hires and/or paying the bills. Regardless of the circumstances, she keeps our business moving forward. What’s more, Michal’s sincere enthusiasm for her people means that she does all this without being heavy-handed or micromanaging the team. Straight forward, down to earth and accessible, Michal is well known for her enthused, “make it right every time”, drive for SERVPRO of Southern Cuyahoga County. Dennis Fosdick, Jr. is our VP and son of our President, Michal Fosdick. He carries forward the same energy of fair, positive and purpose driven leadership at SERVPRO of Southern Cuyahoga that Michal does. His enthusiasm for major storm work is unmatched. This becomes clear and obvious when you see his glee at getting everything organized; from major desiccant equipment and the heavy trucks needed to transport them, to manpower and generators. Dennis touches almost everything that goes into making the storm team run at top effectiveness. He also has a deep desire to create an authentic team atmosphere in our organization. This desire, along with his infectious can-do attitude, strong business vision, customer centered mindset and focus on improving performance have been central to the growth of our franchise group since 2015. Our key leaders, with their gusto for close bonds with customers and staff and the openness with which they run the business, are important ingredients in growing the respect we enjoy from our peers in the industry. It’s also how we make sure that every storm reconstruction, water clean-up or fire mitigation job we take turns out "Like it never even happened." Water and fire damage affect not only the structure of your house but also your belongings. SERVPRO of Southern Cuyahoga County understands that your home is more than a structure. Your furniture, clothing, keepsakes, and other belongings are important to you. Your belongings are important to us, which is why we provide the following to help restore and protect your belongings while we are restoring your home. We have in-house storage where we can keep your belongings safe from further damage, and can provide cleaning and restoration services for your belongings. 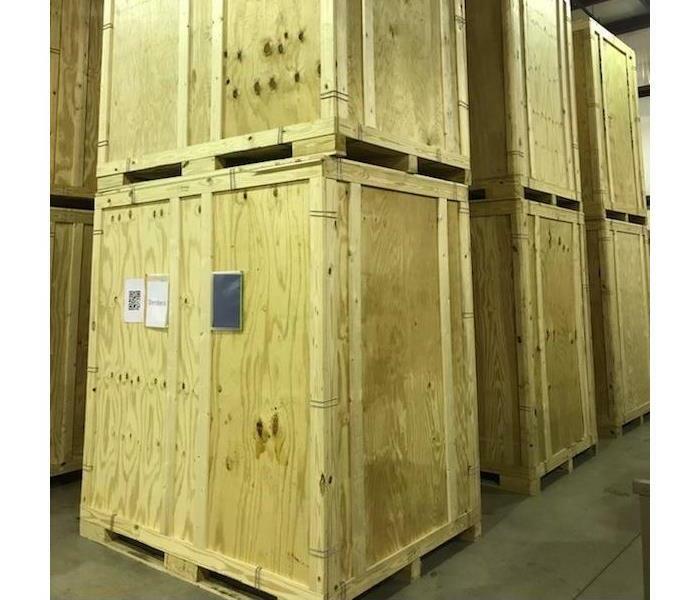 We have a 18,000 square foot warehouse dedicated to storage where we can keep your items safe and secure. Your items will be placed in clearly identified and secured containers. You can rest assured that your items are being taken care of. When emergency strikes, the damage can often feel overwhelming. We can help ease the worry and confusion during the recovery process by offering our Contents Inventory Service, which provides a detailed and accurate list of your belongings. We take a room-by-room inventory of your contents, including digital photos, and barcodes. 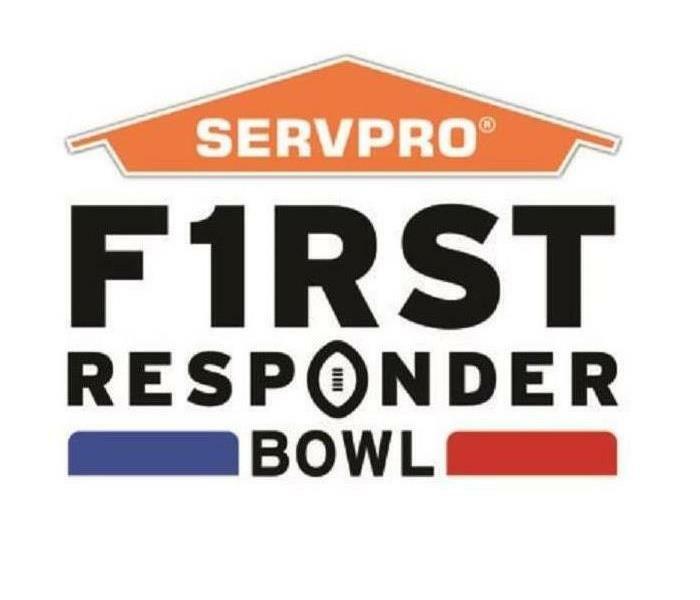 We are thrilled to participate in honoring America’s First Responders for their service and sacrifice with the new SERVPRO First Responder Bowl. This college football bowl game will be played on December 26, 2018 at the historic Cotton Bowl Stadium in Dallas, Texas. Kickoff is scheduled for 12:30pm and will be televised by ESPN. The purpose of this bowl game is to celebrate our friends, family, and fellow citizens who serve as first responders protecting and keeping peace in our communities. By working together, thousands of free tickets are provided to first responders and their families so that they can attend the game. The goal for this year is to distribute over 10,000 complimentary tickets. Along with the corporate sponsors, there is an opportunity to Sponsor a Responder to help provide these tickets. For just $15, a ticket can be purchased to sponsor a first responder to attend the 2018 SERVPRO First Responder Bowl with their family free of charge. CLICK HERE for tickets and information about Sponsoring a Responder. Thanksgiving is a time for family traditions and favorite recipes. Protect yourself, your guests, and home with these helpful safety tips. 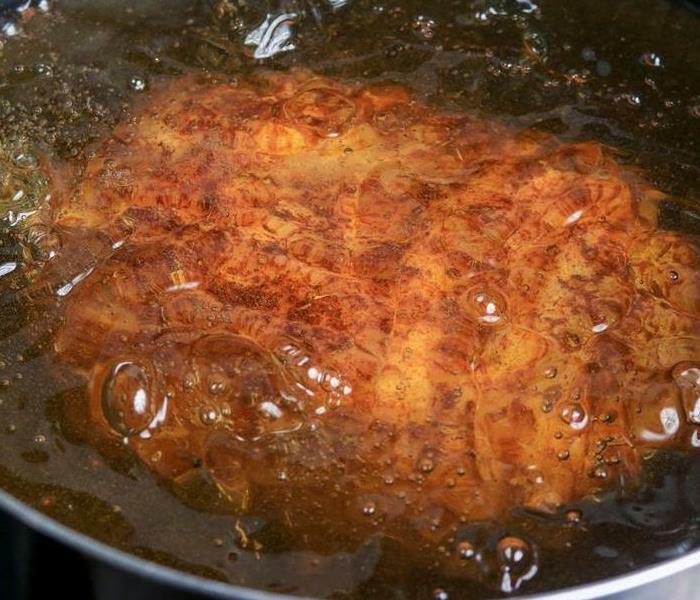 With Thanksgiving quickly approaching, here are some great tips to keep everyone safe if they are deep frying their turkey. Keep outdoor fryers off decks, out of garages and a safe distance away from trees and other structures that may catch fire. Make sure the turkey is completely thawed and dry before cooking. Ice or water that mixes into the hot oil can cause flare-ups. Do not stuff the turkey with stuffing or vegetables, also avoid water-based marinades. Like many homeowners, you may wonder what you can do to keep your furnace well-maintained and when you should perform such maintenance. After all, a functioning furnace reduces the chance of a fire and related fire cleaning in your Southern Cuyahoga home. Dirt is a troublesome yet common nuisance that can lead to furnace-related fires. The blower, motor and system itself all need regular cleaning to remove troublesome dirt and debris. Research how to clean your particular unit, or get help from a local professional. Leaving dirt to sit can cause your unit to malfunction and cause a fire-related issue. Your furnace filters should be replaced regularly. A good rule of thumb is to change them once before cold weather hits, and then once a month during the times that the furnace is in heavy use. Dirty filters can lead to situations that require fire cleaning, much like with other furnace components, and will also not function properly when you are relying on them to keep you and your family warm. 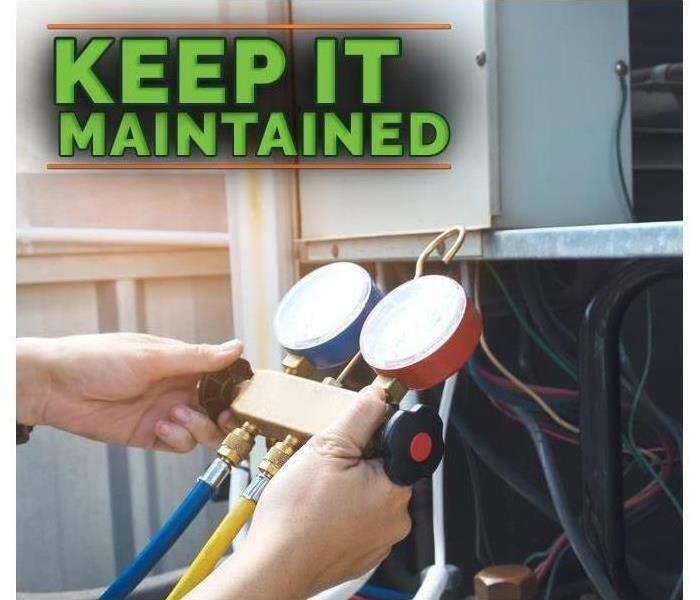 One of the most important things to remember is that any repairs or other maintenance tasks need to be completed before the cold comes. Otherwise, you will risk using the furnace while it is not in top shape, possibly causing a fire and leading to smoke cleaning. You also will likely have an under-performing furnace that does not quite do its job. Furnace maintenance is not exactly fun, but neither is a fire. You owe it to yourself and your wallet to take precautions against having a furnace malfunction at home. You will not only avoid fire cleaning in the future - you will also have better peace-of-mind knowing your furnace is ready to keep you heated. Everyone knows that SERVPRO is Green. Our vehicles are green, our restoration equipment is green, our employees wear green. 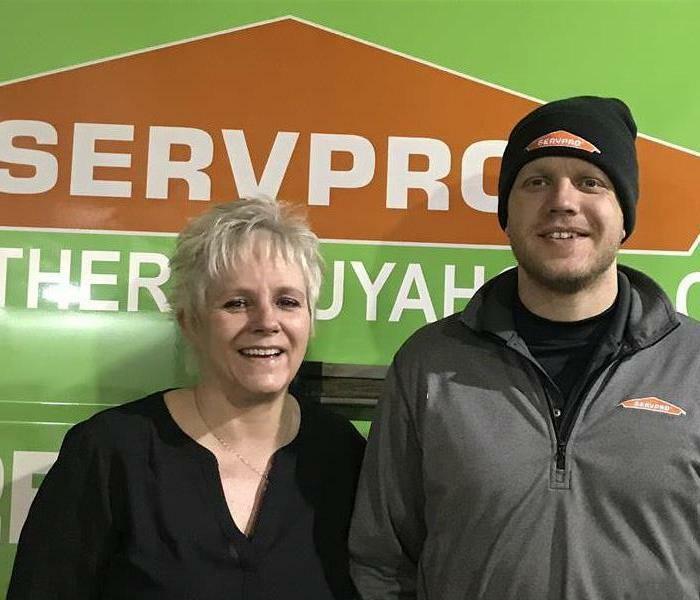 SERVPRO of Southern Cuyahoga is taking it one step further in 2019. Our teams will have access to “green” environmentally friendly chemicals! SERVPRO will now have the option to use Carpet & Upholstery Green Clean (chemical #251) on all commercial and residential properties. This product is pH Neutral, biodegradable, and contains zero phosphates, solvents, dyes, or fragrances. SERVPRO will also have access to All Surface Green Clean (product #250). This product is pH neutral, contains no dyes or fragrances, and is non-toxic / phosphate free. All Surface Green Clean is volatile organic compound compliant and rapidly biodegradable. 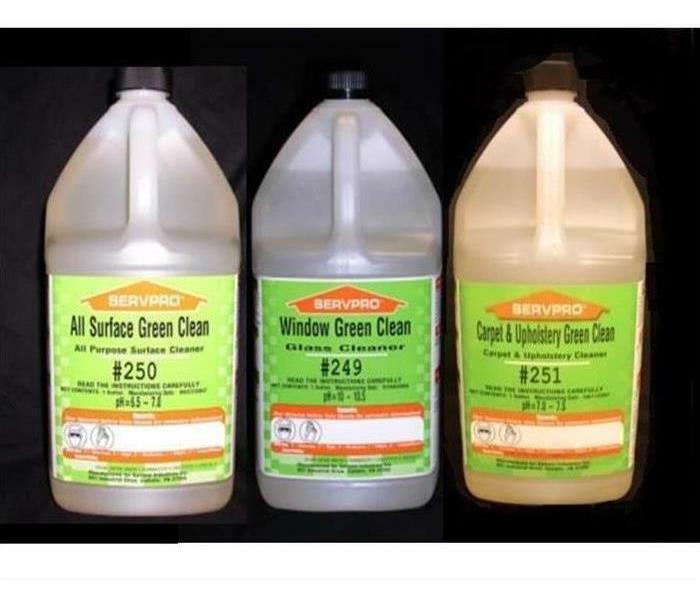 The last new product we would like to introduce you to is the Window Green Clean (Product #249). This glass cleaner is environmentally friendly, volatile organic compound compliant, rapidly biodegradable, and is premixed with soft water to eliminate spotting and streaking. The Best Way to Reduce Business Interruption Following a Disaster in Southern Cuyahoga County is to Plan For it NOW. As many as 50% of businesses may never recover following a disaster, according to the latest industry research. Of the businesses that survive, the overwhelming majority of them had a preparedness plan in place. Pre-planning can serve as an insurance policy aimed at peace of mind. The SERVPRO Emergency READY Profile is a start up approach that provides the critical information needed to begin mitigation and recovery services. It is designed to serve as a quick reference of important building and contact information. 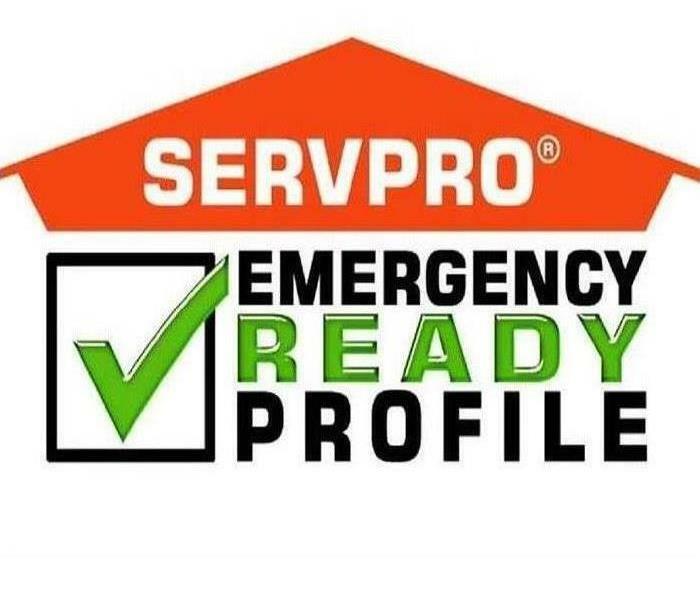 By working with SERVPRO’s Emergency READY Profile, your business will receive the benefit of over 40 years of experience in reducing the impact of any natural or man-made disaster. SERVPRO is a leader in water and fire damage response and can help you quickly get your property back in working order. A no cost assessment of your facility. – This means there is no need to allocate funds, giving you a great value at no cost. A concise Profile Document that contains only the critical information needed in the event of an emergency. – It will only take a little time to complete and will not take you away from current projects. But it will save a lot of time if ever needed. A guide to help you get back into your building following a disaster. – This can help minimize the amount of time your business is inactive by having an immediate plan of action. Establishes your local SERVPRO Franchise Professional as your disaster mitigation and restoration provider. – You have a provider that is recognized as an industry leader and close by. Flooding and water damage events at Southern Cuyahoga commercial properties are often complex with numerous issues that require a knowledgeable and flexible response. Whether we’re dealing with a relatively small water cleanup scenario or a large scale event, we work quickly to assess each unique situation and isolate the damaged area. In many instances, normal operations can continue in a temporary space while we restore your facility. SERVPRO of Southern Cuyahoga specializes in the cleanup and restoration of commercial and residential property after a water damage event. Our staff is highly trained in property damage restoration. From initial and ongoing training at SERVPRO’s corporate training facility to regular IICRC-industry certification, rest assured our staff is equipped with the knowledge to restore your property. Storm and flood damage can be quite devastating. Immediate action is needed, and customers need the company with storm damage experience. SERVPRO of Southern Cuyahoga County is part of an elite Storm Team with the expertise and the resources to handle any size disaster and can respond immediately to storm and flooding conditions. While our storm team was away helping those in throughout parts of North Carolina, the rest of our team seamlessly continued helping our local customers with fire and water damage in the North Royalton, Berea and Parma Heights, Ohio areas.